We have a new take on animal tracks when the weather suddenly shifted from fall to winter. 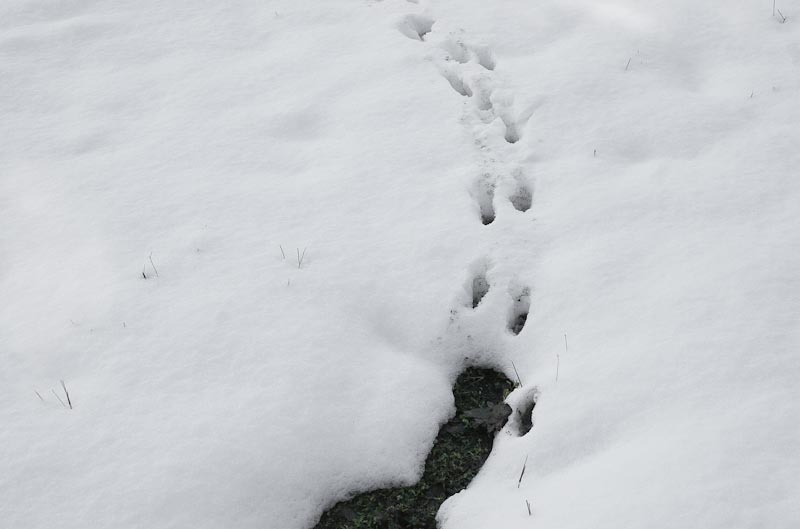 The soft mud is covered in snow, and the tracks of some small mammal make a trail through the new snow. The snow usually doesn't last long. WOW! Great find...and love the perfect simplicity of the winter image!! !